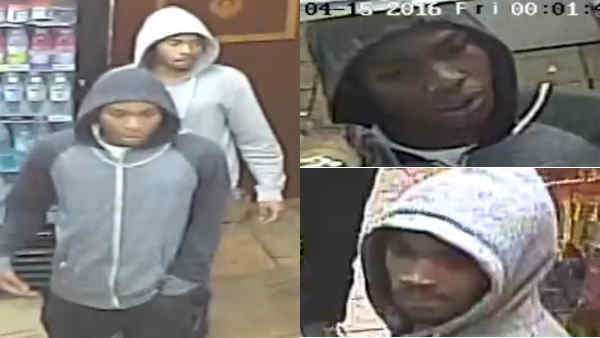 WASHINGTON HEIGHTS, Manhattan (WABC) -- The NYPD is searching for two men caught on clear surveillance video who they believe are responsible for a murder in Washington Heights. The incident happened just after midnight last Friday on West 157th Street, where arriving officers found 41-year-old Dejon McInnis with a gunshot wound to the right leg. The gunshot severed his artery, and he died of complications from the wound at Harlem Hospital. Police say it appears to be an ongoing turf dispute related to drugs, and the victim has prior arrests. There is also added concern because the shooting happened near an apartment building for senior citizens. Anyone with information in regards to this homicide is asked to call the NYPD's Crime Stoppers Hotline at 1-800-577-TIPS (8477) or for Spanish, 1-888-57-PISTA (74782).